Janome 41012 looks a good machine. But it disappoints in practicality. It lacks a lot of features that are considered important for beginners. Janome New Home 41012 is a very basic sewing machine for beginners. The machine has 12 built-in stitches including a 4-step buttonhole. It has some basic utility and straight stitches. Being a mechanical sewing machine, stitch selection is done by turning dials. A separate dial is provided for adjusting the stitch length. ZigZag width can be adjusted up to 5mm and stitch length up to 4mm. Thread tension needs to be adjusted manually. It has an extra high presser foot lifter to accommodate bulky fabrics. The bobbin is front loading type. A manual thread cutter is also provided. The machine is drop feed and free arm convertible. An incandescent lamp is provided for illuminating the work space. The presser feet is snap-on type. The thing I really like about this machine is its powerful motor. The motor is capable of delivering 860 stitches per minute, which clearly puts it in the league of $180 machines at least in terms of motor strength. Janome 41012 weighs just 13 pounds, so it is very easy to carry around. 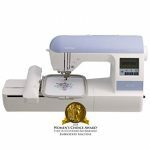 Retractable carry handle makes this machine an ideal foil for sewing classes. But the good things end there. The machine is not great for a creative person. The stitch quality is not that great and the machine seems to struggle with multiple layers of fabric. The stitch quality really disappoints me as you normally expect excellent results from Janome machines. There are lot to talk about. Feature wise, the machine seems to belong to the last decade. It doesn’t have an automatic needle threader to make threading easy. It doesn’t have a 1-step buttonhole for easy buttonhole making. It doesn’t have a drop-in bobbin, instead it comes with a front loading one which requires the accessory compartment to be removed, every time you need to change the bobbin. 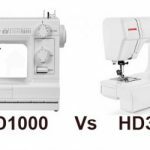 Now, these are the features that I consider as ‘must have’ for a beginner sewing machine. 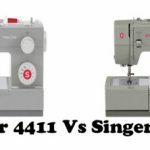 I am not really impressed with the quality or features offered by Janome 41012. So I can’t really recommend it to beginners. The best alternative Janome machine that comes in the price range is the 2212. It is a quality machine for sure, but it doesn’t have a lot of features. For example, it doesn’t feature an automatic needle threader which is a default feature even on some $80 machines. So if you can overlook those features, 2212 is a good beginners machine in terms of stitch quality. 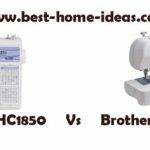 If you are looking for a feature rich, quality machine, the best bet is to go for Brother XL2600I. 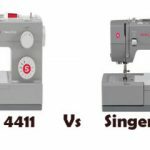 It is the undisputed king of under $100 sewing machines. 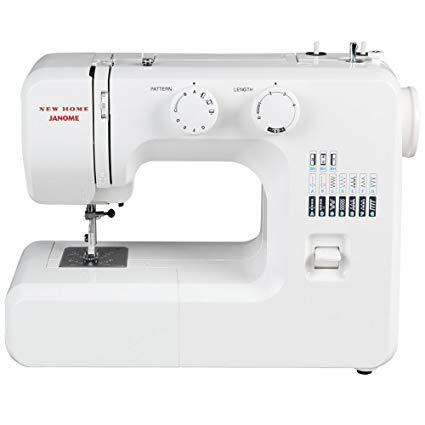 It has 25 built-in stitches, automatic needle threader, drop-in bobbin, 1-step buttonhole etc. It is less expensive than Janome 41012 as well. The combination of features and quality works well in the case of Brother XL2600I.